This 5 night Guest House Graceland offer gives you plenty of time to take in all the sights of this music city in the USA. Staying at the Guest House in Graceland, you are only steps away from the magic of Elvis. Spend a day browsing all the exhibits and shopping for Elvis souvenirs at the entertainment complex, combined with a visit the Graceland Mansion. There’s plenty of music attractions to visit during the day, Memphis is famous for the influential strains of blues, soul and rock ‘n’ roll that originated there. Elvis Presley, B.B. King and Johnny Cash recorded albums at the legendary Sun Studio. Other music landmarks include the Rock ‘n’ Soul Museum, Blues Hall of Fame and Stax Museum of American Soul Music. 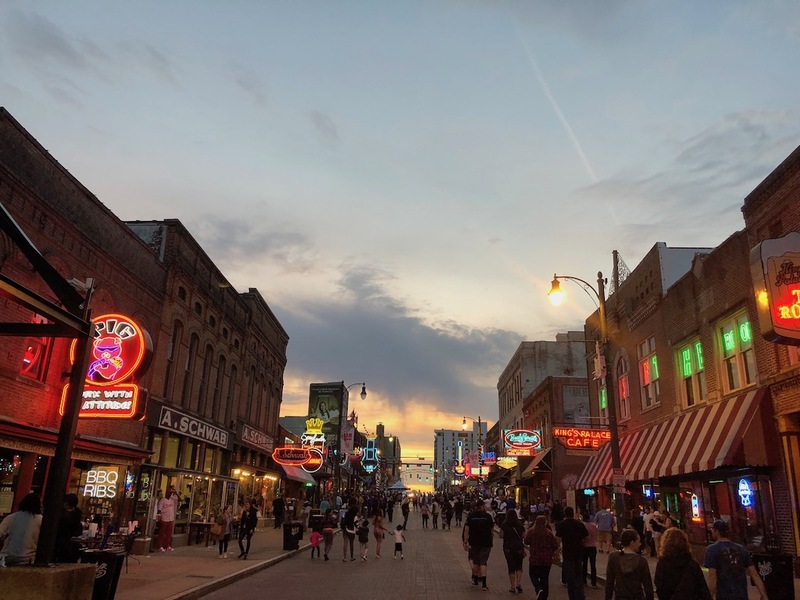 Any visit to Memphis wouldn’t be complete without a visit to Beale Street at night, the place comes alive at sunset, when the neon’s are lit and a variety of tunes spill out onto the street. There’s plenty of bars and restaurants for refreshments in this area, whilst you take in the atmosphere. An extraordinary hotel experience in the heart of Elvis Presley’s Graceland®! Located just steps away from the iconic Graceland Mansion, The Guest House at Graceland welcomes music fans, Graceland guests, Memphis visitors and groups from around the world with Southern hospitality, royal treatment and luxurious amenities that would make the king™ proud. Less than a 5-minute walk from Elvis Presley’s Graceland Mansion, The Guest House at Graceland offers accommodation with 2 on-site restaurants, a theatre and outdoor pool with pool bar. Complimentary airport shuttle service and an evening Peanut Butter and Jelly Bar is offered. Contact us about this offer for Memphis on 0800 810 8404, or send an online enquiry below. We’ve personally visited Memphis and Graceland, so please don’t hesitate to contact us with any questions.